Perfect to whip out at ‘gin o’clock’, these humorous gin coasters are sure to tickle those who love a little tipple! These zesty and eye-catching designs make a great gift for the gin-lover we all know. 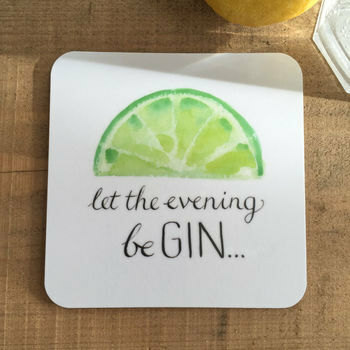 From a hand-drawn original, the calligraphic lettering was drawn in pen and ink and the lemon/lime in watercolour. 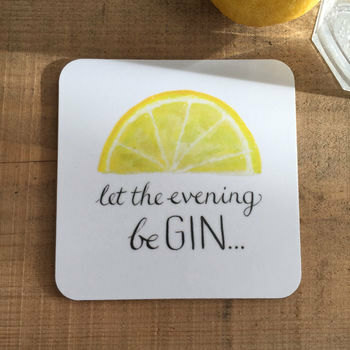 The ‘Let the evening beGIN’ design has a celebratory feel, whether heralding the finalé of a ‘dry’ month, the end of a long day or simply the start of the weekend (yes, okay, any excuse will do!). 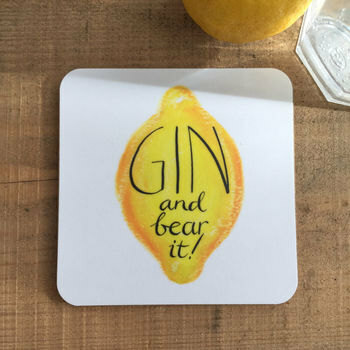 And it looks great alongside the ‘Gin and bear it’ design. 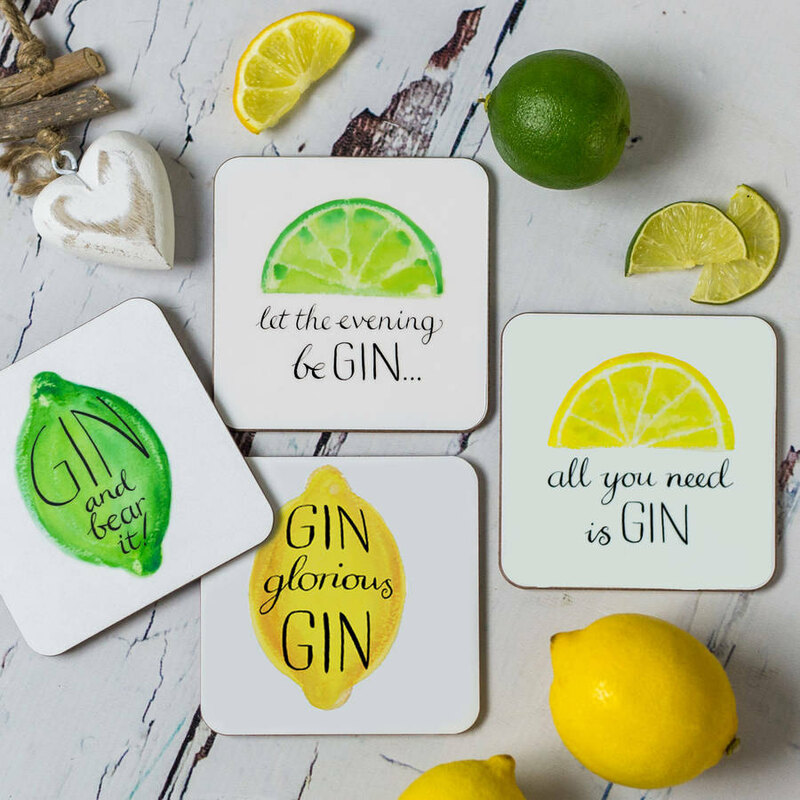 Other designs available, ‘all you need is gin’ and ‘gin, glorious gin’. The bright colours and fun design make perfect little gifts.